I would definitely recommend this product for anyone looking for exfoliation, whether for sun spots, acne, or fine lines. I love this exfoliator. I actually bought this for my 14 year old adolescent son who is starting with the acne. I've used it myself for years to ward off the fine lines, so I would knew it would be perfect for his acne. Marked improvement in his skin without the harsh redness of prescription strength Retin-A. I get a lot of ingrown hair on my chin and usually have to have peels every 6-8 weeks to control the ingrowns. Sometimes if I can't fit a peel into activities or during summer I'm able to use this product to control skin build up. It's like a controlled mini peel. 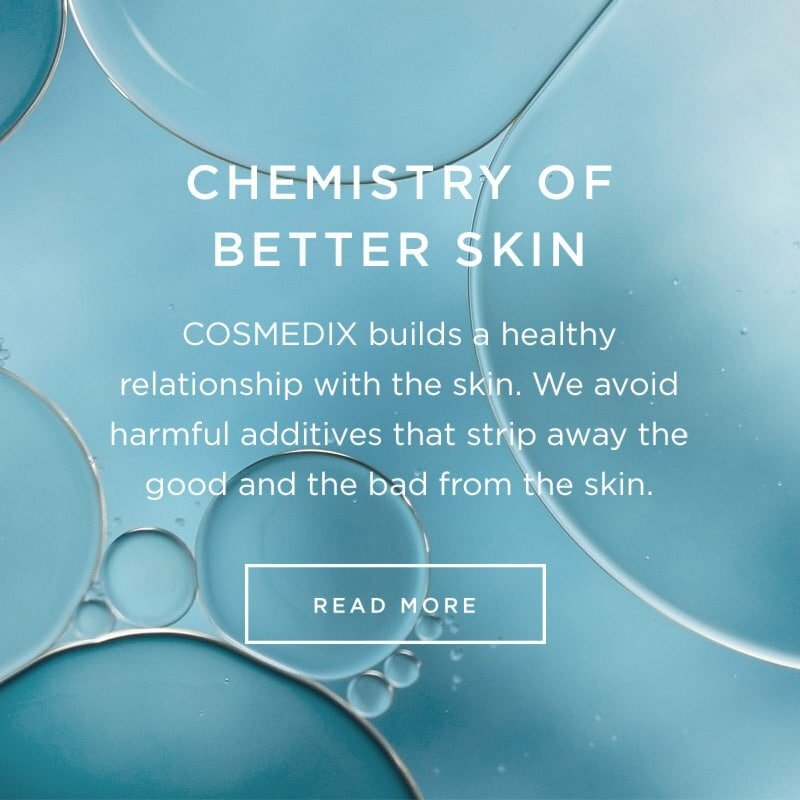 Although I have only been using Cosmedix products for about a month now, I've already noticed huge differences in skin tone and texture along with a reduction in breakouts. I have used Refine for awhile now; I use once around every 4 to 5 days. It seems to help keep my skin from getting dull. If I use it too often, like every other day, it's a bit too harsh for my skin. Great product! This product was given to me as a gift and I absolutely love it! It goes nicely into my skin and I use my roller to make sure it soaks in every night and sleep with it. In the morning I can tell a difference, especially after a few weeks ! 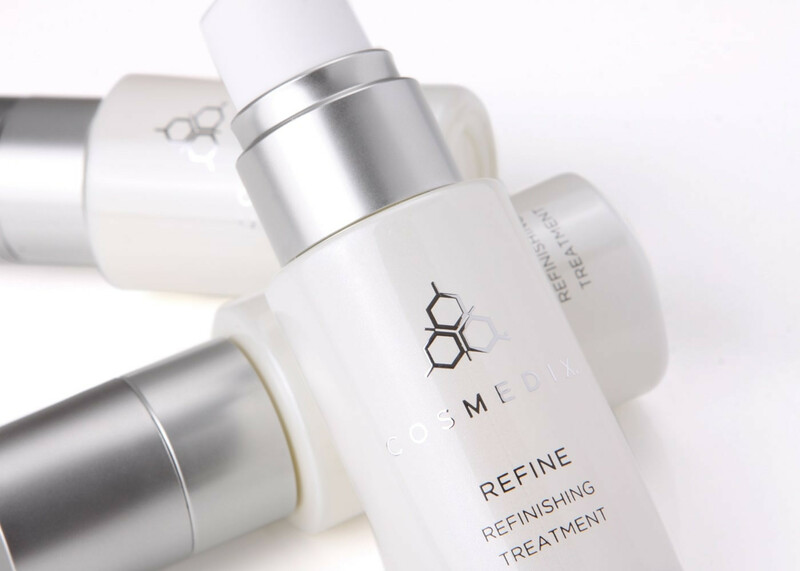 I have been using Cosmedix for 9 years and have been using Refine for 2 years. Refine is gentle yet effective and the smell is not strong or weird. I was just asked how old I was at a store talking with a group of young females and they thought I was in my 20's. I am almost 40. Add this to your routine and add years to your face. So far, so good. I’m not a complete week into using this product yet. Can’t wait to see what it does. I have been using it for a couple of weeks and can already tell the difference in my skin. My skin feels softer and looks younger. I would highly recommend this. This is probably my favorite Cosmedix product. I apply it after using Clear Mask, and together they reduce my pores and give my skin a healthy glow. Love this product! Makes my skin appear more even and smooth. I can tell the difference in my skin if I run out of this product & dont use it for a while. Highly recommend!! Great product! Have been impressed with how it works. In the winter when my skin is dryer I don’t use every day. Great product. Skin feels smoother and pores are smaller. In the winter can only use every 2nd or 3rd day. Less oil on face. Yes, would recommend this product. I love this product. I have to be careful not to overuse it, but used a few times a week it makes my skin clearer, cleaner and fresher looking. I'm 44 and have acne prone, oily, congested skin with rosacea which has led to texture issues. I started with Define (recommended by my esthetician) and then upgraded to Refine mixing it with Defy. I've noticed a huge improvement in my texture with no increase in redness, also no dryness due to the fabulous Refine formula! So excited I finally found something that works. I also use Clarity (day and night) and Benefit Clean. I bought the age-defying skin kit to test out the other serums and I still prefer Refine. When I use it at night, my skin feels so smooth and refreshed the next morning. Worth the try (and $) compared to the other age-defying serums. Refine has completely transformed my skin! It used to be dull, uneven and blotchy. After 3 months of use, three times a week I noticed change. My skin now radiates... I’m comfortable not wearing makeup again! This product has helped my skin look less dull and more clear than before. This little bottle packs a big punch! I have been using it for only a week and am already starting to see positive results.